I wanted to do a separate post just for this accommodation chain as I was extremely impressed by the service and standard of quality of this place. Not only were they highly accommodating and helpful but the quality of the rooms and the overall property was very clean, quite new and the decor had a homely feel to it, which is nice to come back to especially when you've been living a nomadic lifestyle for a while. There are three Little Hanoi’s situated around the city of Hanoi; two hostels and one more boutique-style hotel or flashpacker closer to the heart of the city. We had just arrived into the city having spent two nights on a train travelling from Ho Chi Minh (Saigon). It was about 6am and all we wanted was a room to relax in for a little bit and a nice, hot shower. We had found Little Hanoi Hostel 2 via online search and after seeing some good reviews we decided we would try our luck here. Things didn’t look too promising when we turned up and the reception was closed and two of the staff members were sleeping on make-shift beds out of couch pillows on the floor of the restaurant adjoining the reception. Entrance. Former name was Lucky Star Hotel. Luckily internet was free so we managed to pass our time catching up with friends online until someone woke up. The reception staff didn’t officially start until about 7am but once they did it was all uphill from here onwards. We hadn’t made any reservations and were hoping dorm rooms were free. Unfortunately the lady at reception informed us that all dorm rooms were full for the night (cost of a dorm bed is about USD$7). She did mention that a private room for three cost only $27 but we had to wait until 9.30am to see if it was available. Due to our inconvenience (which there was none as we were the ones who had not made any bookings) she offered us and the other girls that had just arrived free cooked breakfast. After a delicious meal of bacon, eggs and a fresh baguette she informs us that the private room at this hostel was already booked however they had another property, Little Hanoi Diamond, about 10 minutes away that had a room free. This was a slight grade higher than Little Hanoi Hostel 2 so rooms are generally more expensive so not only did she offer us the same price of USD$27 per night at the new place but they also paid for our taxi to get us to the other hostel. She then proceeded to help us with booking our trip to Halong Bay and our train tickets to Sapa, which can sometimes be confusing to book if you don’t have anyone to help you. Staff at the second hostel greeted us warmly upon arrival and was very knowledgeable about the area and where the best hot-spots were for anything you asked for. One of the receptionists who worked during the day managed to remember our names as well which I thought added a nice little touch to their service. 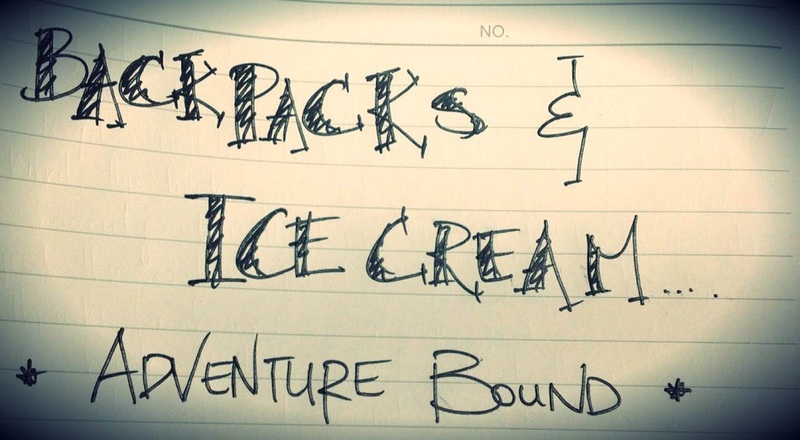 We were never let down by this hostel chain. Staff was amazing, professional and reliable. They also use good providers for any activities you book through them and are at a decent price. Our 3 person private room. This is hands-down one of the best places I’ve stayed in so far in my travels. It's hard to explain just how smooth and easy-to-deal with this place was, you just have to experience it for yourself. I cannot rate this place highly enough. 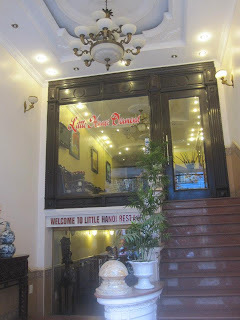 If you are ever looking for a place to stay in Hanoi, I highly recommend staying at one of the Little Hanoi properties as I guarantee you will not be disappointed.